UPDATE: August 13, 2017, Dept. 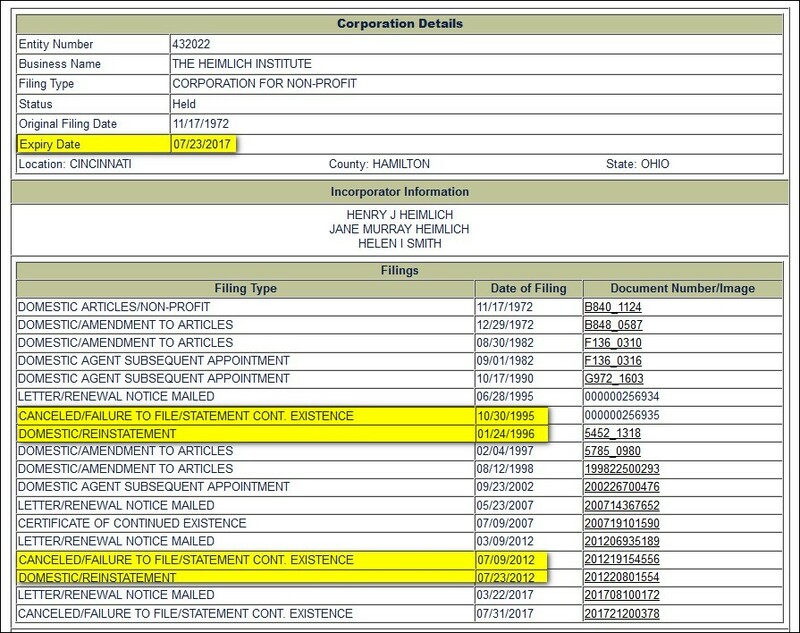 of Irony: The Heimlich Institute resuscitates itself after I informed them Ohio had terminated their corporate status. The mission of The Heimlich Institute is "Benefiting Humanity Through Health and Peace." When Deaconess Associations Inc. invited the Institute to become affiliated and to move into the Deaconess Hospital complex, it brought together two organizations with the same goal – saving lives. 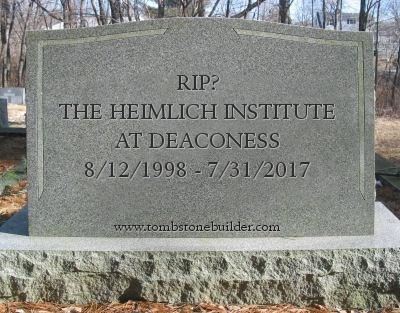 Most meaningful for me is that the creativity of The Heimlich Institute research will now continue in perpetuity. Some say it will be for Cincinnati what the Pasteur Institute is for Paris. From the same filing, here are the most recent officers of the corporation. As widely reported, my dad died in December, but I'll follow up with my brother Phil and perhaps the others and will report the results.